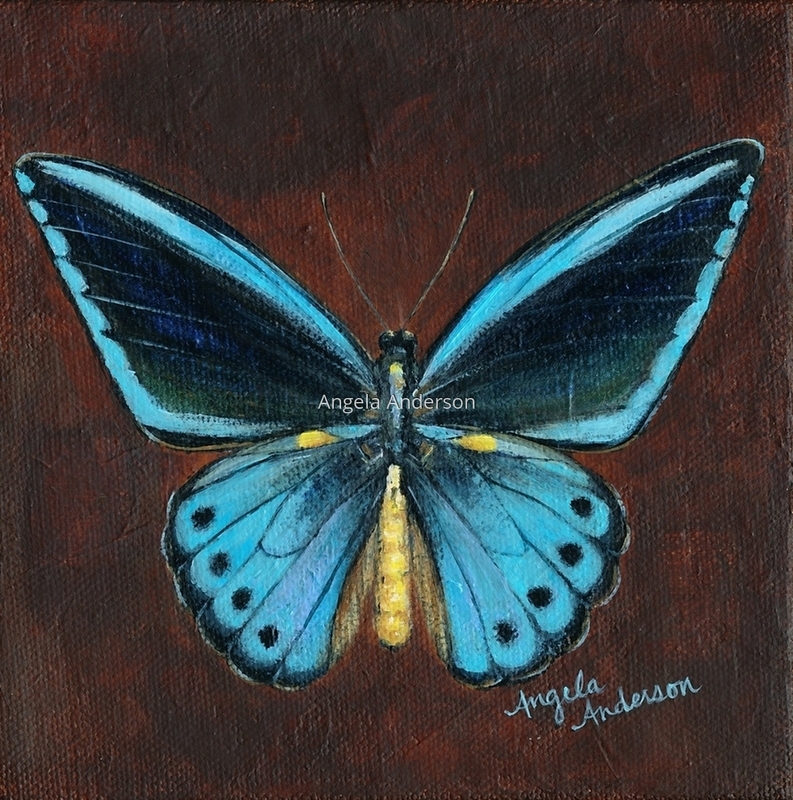 Blue Birdwing butterfly on dark brown background. Original acrylic paintings on gallery wrapped canvas. 6" x 6"9.125" x 9"